The Bechstein B 120 Select: A premium-class upright made in Germany. 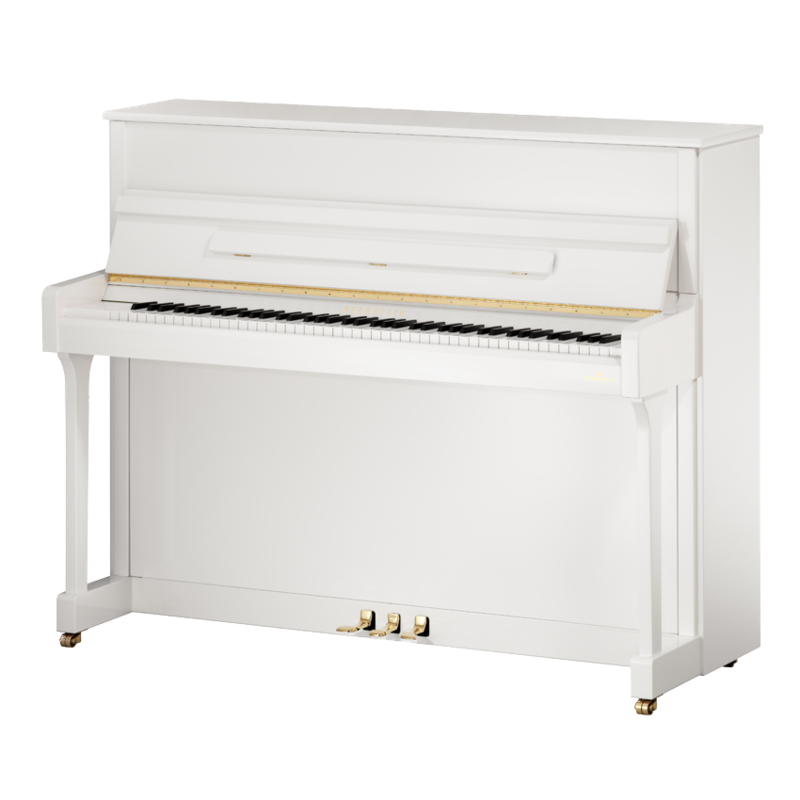 The Bechstein B 120 Select upright offers outstanding value for money. Discover Bechstein’s philosophy of piano-making with our DVDs and take a tour of the production site of the BECHSTEIN B 120 Select upright piano, where state-of-the-art technology harmonizes with careful craftsmanship.The Bechstein B 120 upright integrates not only the best of German engineering and cutting-edge manufacturing processes, but also the secrets hoarded by piano-makers over more than 160 years. The precision machining of the basic parts serves the same goal as the masterful hand finishing of the acoustic assembly. And the elegant case of the Bechstein B 120 Select upright piano makes it a jewel in your music room.With its wealth of nuances, its wonderful voice and its perfectly balanced action assembly, the B 120 Select upright is a true Bechstein.Your Bechstein B 120 Select upright piano can be equipped with a Vario mute so that you can play day and night without disturbing your family or neighbours.